SS2015 bridal trends that will make your heart sing! Anyone who thinks the defining factor of a wedding dress is that it’s white, has a sweetheart neckline and lace, hasn’t seen the latest bridal trends. This season, wedding gowns come in many shapes & shades. To help make sense of the new trends, we’ve narrowed down all the lust-worthy looks into the six biggest trends and….we paired them with Dori’s accessories! Oscar de la Renta mini bridal dress paired with Dori’s Dream hair accessory. Vera Wang pink wedding gown paired with Dori’s pearly Noces earrings. Trend: New Colors Shades of pink, blue, gray, and even green made their way onto the Spring 2015 bridal runways — and we couldn’t be more excited about it! 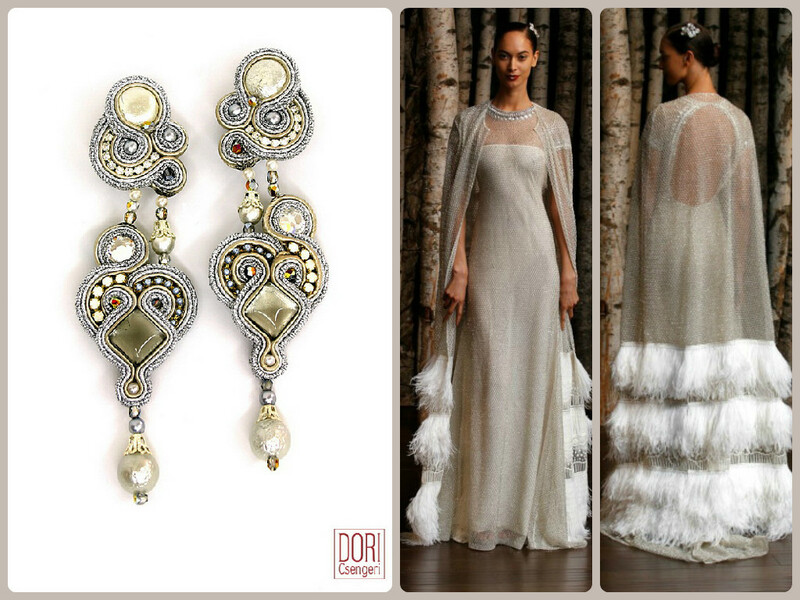 Naeem Khan’s cape wedding gown paired with our Gothika earrings. Trend: Capes Whether a bride wants to cover up or create some added drama as she walks down the aisle, a cape is yet another great convertible option for brides-to-be. 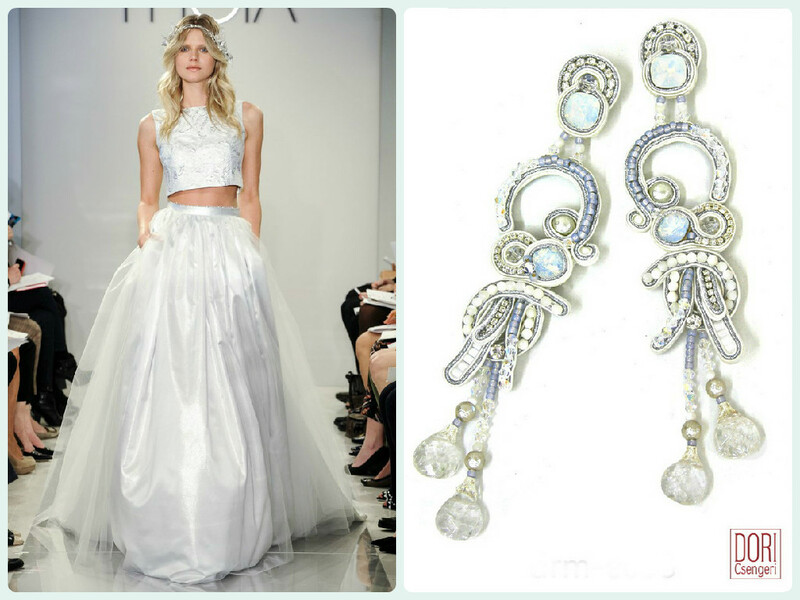 We matched Theia cropped top wedding dress with our statement Dream earrings. Trend: Crop Tops and Cut Ups Midriff-baring two-piece dresses added some heat to the bridal runway. We matched Vera Wang tulle wedding dress with our Stardust bridal jewelry. Trend: Cool Tulle Skirts From light-as-air overlays to frothy floral skirts, tulle was the fabric of the season. Glamradar sleek bridal jumpsuit paired with Dori’s Dream earrings. Trend: Bridal Jumpsuits Jumpsuits, separates and menswear-inspired styles are giving the traditional bridal look a new edge. Which trend are you lusting after… ?